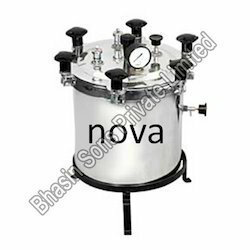 Prominent & Leading Exporter from New Delhi, we offer autoclave, vertical autoclave, p type stainless steel autoclave, reclining wheelchair and p type autoclave. 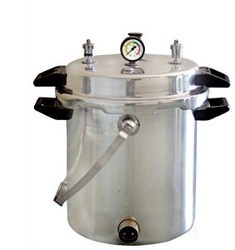 We offer an ample range of Autoclave across the world at competitive prices. These are elegantly designed and fitted with pressure gauge, safety valve, and pressure release valve. It is widely appreciated for its leak proof construction. Our product seems to be safe to work in the electric consumptions and has the best sterilizing time of 25-30 minutes. We find these kinds of apparatus on the laboratories. Our expert team allows us to manufacture and export leading products of Vertical Double Drum Type Autoclave. We use advanced equipment and machineries for the process of manufacturing renowned bending machines. These are manufactured using excellent materials procured from genuine vendors. The salient features of our product are long durability, analog display at the top; double handle for safe lifting and wide stand base. In all hospitals this are widely used. pressure in between 5 to 20 PSI. 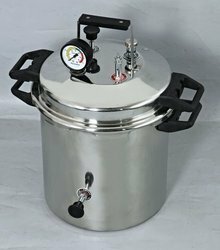 Our organization is involved in manufacturing and exporting a wide range of P Type Stainless Steel Autoclave around the world. We manufacture these products using high grade stainless steel materials sourced from genuine vendors around the globe. These are featured with tough steel body, portable functionality, safe handles and analog display. All our products are used in multi specialty hospitals and laboratories. Heating Element: 2000 Watts,220/240 Volts A/C. 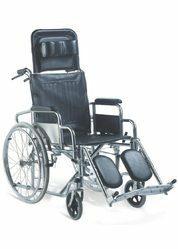 Having customer satisfaction as our business mantra, we offer Reclining Wheelchair. We manufacture these high -tech wheel chair using high grade raw materials that are in compliance with international quality standards. In this product the special features are detachable armrest, elevating footrest and solid castor with rear wheel. We find its application in modern multi-specialty hospitals and clinics. The reclining high back technology makes these products more reliable. By the Knowledge modern business ethics we are engaged in manufacturing and exporting P type Autoclave. This product is featured with Weight Valve, Safety Valve, Steam Release Valve, Mirror Finish and Pressure Gauge for its effective performance. 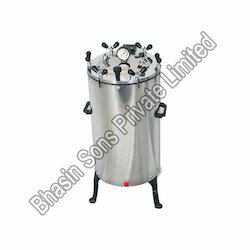 We manufacture these autoclaves using superior quality stainless steels available in the market. These are shock proof and easy to relocate. Modern laboratories and clinics use these kinds of equipment widely. Heating Element : 2000 Watts,220/240 Volts A/C. Looking for Medical Autoclave ?